I’m heading to New York next week for three days of eating before we fly to Southeast Asia. When soliciting suggestions on where to eat, my friend Caroline recommended Budakkan and said she loved the chilled udon noodles with peanut sauce. Then she forwarded me the recipe. Then I made it. It was good. But seriously, it was really good. I have no idea if this recipe comes close to the dish served at Budakkan – having never been there – but it doesn’t really matter when it’s this good. 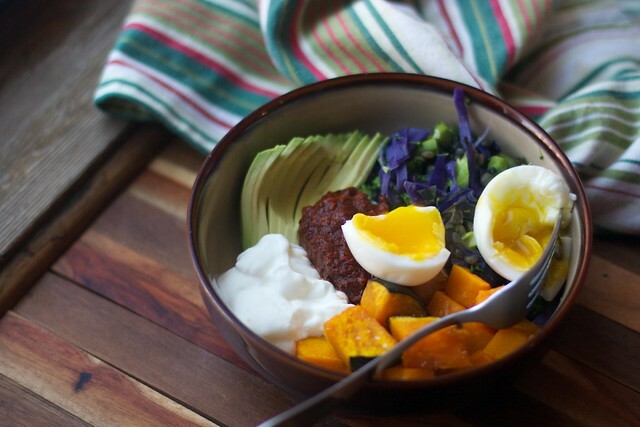 I’ll be making this again soon since Eric and I ate it like we’d never see food again. As for New York, I have a short (ok, long) list of restaurants in mind. I want to eat at some classics – a Jewish deli, maybe Shake Shack – and some not-so-classic restaurants – Budakkan, perhaps? If you know of a must-try, leave it in the comments. Adapted from Caroline’s recipe, which came from her sister, which came from who-knows where. 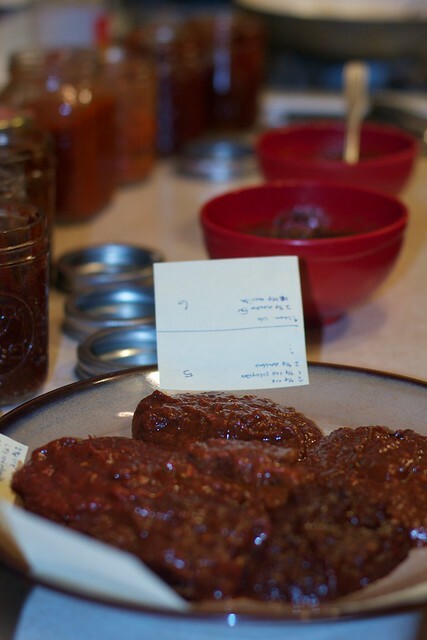 I made a couple modifications – a bit more vinegar and Sriacha – so I wrote the recipe as I made it. 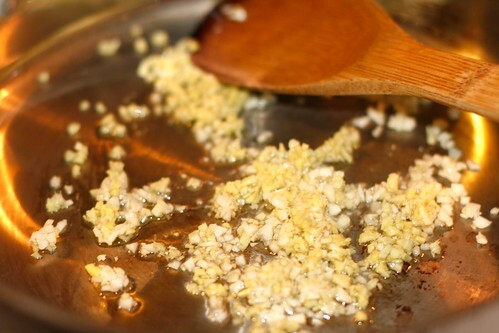 In small saucepan, saute garlic and ginger in peanut oil over medium-low heat. Add the water, soy sauce, and coriander, and bring to a boil. Add peanut butter and turn heat to low. 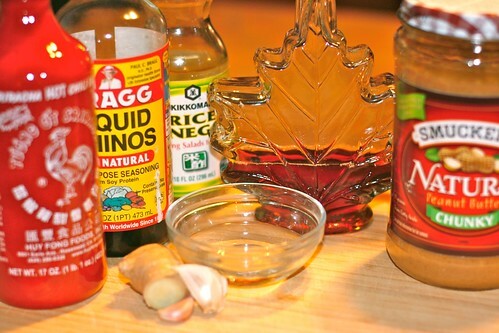 Whisk together until combined, then mix in the maple syrup, vinegar, and chile sauce. Remove from heat and let cool to room temperature. 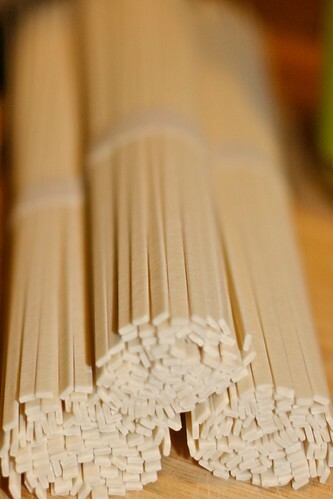 Meanwhile, prepare Udon noodles according to package instructions and then set aside. 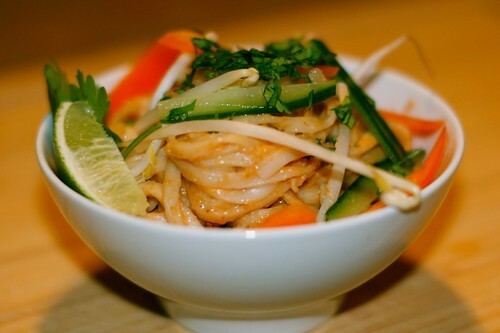 Combine noodles, sliced vegetables and sauce, with fresh squeezed fresh lime juice and chopped cilantro. Oh, the holidays. Just yesterday, a messenger delivered two cheesecakes to our office. Tomorrow, I’m expecting our first fruit cake. This is always a tough time of year for healthy eating. 2) I stocked up on veggies at work. Lots of veggies. And to keep them enticing, I have been bringing in this bean dip. I’m pretty much obsessed with this bean dip right now. 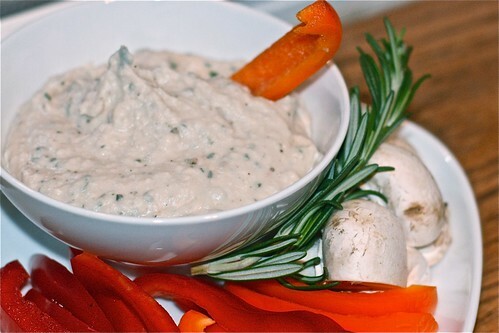 It’s so good, so easy, and unlike other bean dips (ahem, hummus), it tastes better with veggies than it does with, say, pita, so it’s healthy to boot. Yeeeah. 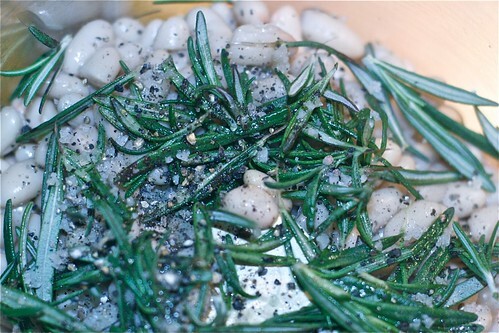 In a food processor, combine the beans, rosemary, garlic, salt and pepper, and lemon juice and zest. 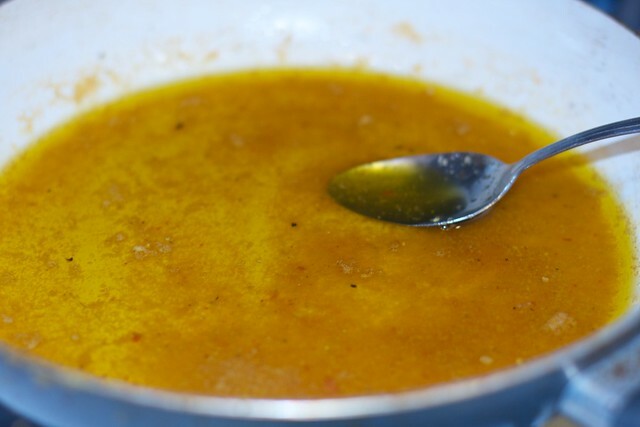 As it is processing, pour in the olive oil. Serve with red peppers, cucumbers, and mushrooms. Yes, another soup. I can’t get soup recipes out of my head right now. 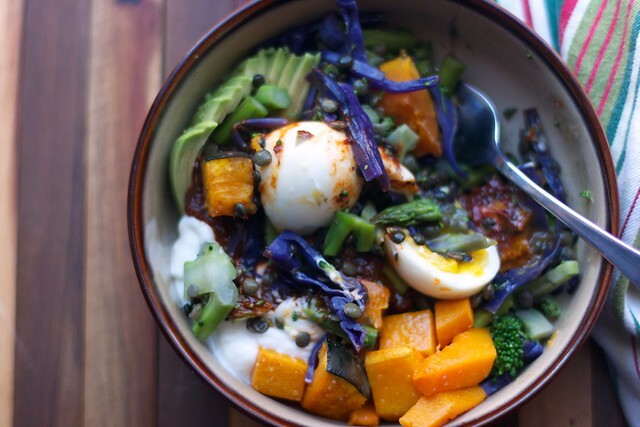 I do have some other good stuff to post, so I will promise you this: no more soup recipes! At least for a little while. I think my obsession with soup right now goes right along with my inability to get out of bed in the morning. All summer, I was getting up at 5 or 6 in the morning to go to spin class or go for a run, but ever since the mornings have gotten darker and the weather colder, I am hoarding every minute of sleep. I make excuses to push snooze one more time; it’s very easy to rationalize sleeping just a little bit longer when your eyes are closed and your brain is only half functioning. Even as I’m walking out the door to go to work, I’m still thinking about my warm, comfy bed. My down comforter. My cozy, cuddly kitties. This cold weather is messing with me – my sleep habits and my appetite – and yet again I’m asking myself why I still live in the Midwest. Anyway, I recently bought wonton wrappers at the store to try out one of those ravioli recipes I see everywhere; they were so easy to use and I had leftovers, so I thought an Asian dumpling soup would be great. If I had any, I would’ve thrown some greens in the pot – spinach or Chinese broccoli – but sometimes you just have to make do with what is in the fridge. This soup was really fantastic. Eric really liked it too, and this time he didn’t add the “then again, I’m starving” afterthought to the sentence. It was perfect after an extra hard spin class last night – after who-knows-how-many squats, I walked in to spin looking for a low-resistance cardio workout. Instead, our instructor informed us we were going to max out Watts – in spin speak, this means high resistance, fast legs, trying to push your power output (measured in Watts on the spin computer) as high as humanly possible. It’s a tough, tough workout, and my legs were not willing to push my Watts much higher than 300 at first (as a point of reference, my usual spin class average is 160-170, pushing 250 in the intense parts and coming down lower during recovery). This is not much higher than normal for me, and since the intensity bursts are so short, I should have been killing this workout. After a while, though, my legs got used to the spinning motion and I managed to push up to 525 Watts at one point, even if it only was for 5 to 10 seconds. Whew. You really feel whipped and accomplished at the end of those workouts. First, get all your veggies chopped and ready. Sauté the ginger and garlic in some neutral tasting vegetable oil for a couple minutes, then add the mushrooms and red pepper. Sauté a couple minutes longer, then pour in the stock and let it warm up – almost to a boil. Meanwhile, make the wontons. Combine the pork, granulated garlic, granulated onion, soy sauce, and fish sauce. Spoon a small dollop in the center of the wonton wrapper. 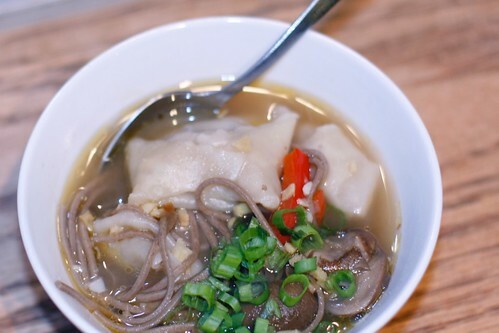 You don’t want to add too much – otherwise they won’t cook through or the wonton won’t close. Wet the edges and form a little pocket – the corn starch that coats the wrapper will make it stick together. When the soup is almost to a boil, add the black beans and wontons. 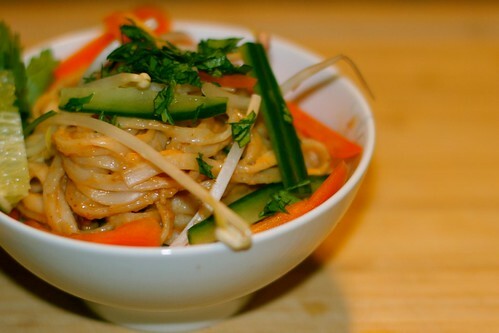 Cook for just a couple minutes, then add the soba noodles. 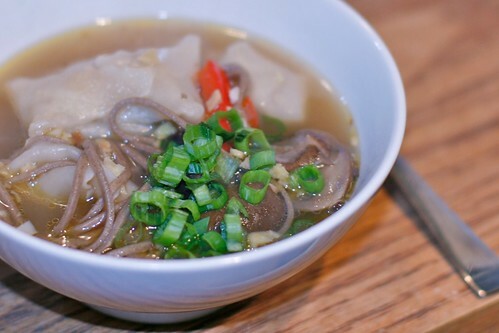 When the soba noodles are soft – about a minute – take off the heat and serve garnished with green onions. If it needs salt, add at this point. You might be left with some pork – we just formed them into balls and baked them like meatballs! The dumplings are really versatile. I think in the future, I’d mix it up a bit by adding green onion or maybe shaved carrots and ginger to the pork filling. Even some shrimp would be really good in there. A dash of fish sauce in the body of the soup might be nice, also. 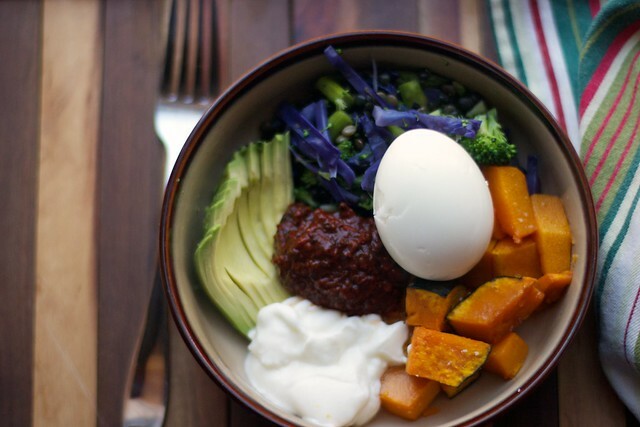 Play around with the veggie combinations and try not adding the soba noodles.